An essential, practical, hands-on resource for school leaders, policymakers, and other educational personnel, this practical, clear, and easy-to-understand guide looks at both the historical background and the contemporary legal issues that affect virtually every aspect of schools today. The new Sixth Edition of School Law and the Public Schools by Nathan Essex brings readers the latest information on today’s most critical issues, among them: recent rulings on religion in public schools, social media, Facebook and Twitter challenges, virtual charter schools, administrators’ authority at bus stops, legal aspects of teachers and administrators’ evaluation, teacher performance and misconduct, 504 Rehabilitation plans, the McKinney-Vento Homeless Act, violence and tragedy in U.S. schools, procedures for evaluating and responding to threats, natural disasters and school safety, proposed changes to No Child Left Behind by the White House, and the use of chaperones for field trips. Numerous application exercises and case studies give the concepts real-life meaning, and illustrative tables and figures further reinforce and amplify the ideas. Nathan L. Essex is professor of Educational Law and Leadership at the University of Memphis and President of Southwest Tennessee Community College. He received the B.S. degree in English at Alabama A&M University, the M.S. degree in Educational Administration at Jacksonville State University and the Ph.D. degree in Administration and Planning at The University of Alabama. He has held public school teaching and administrative positions prior to completing the doctorate. Essex’s interests include law, educational policy and personnel administration. He has served as consultant for more than 100 school districts and numerous educational agencies. He served as a policy consultant with the Alabama State Department of Education for twelve years and received numerous awards in recognition of his contributions in the field of education. He is the recipient of the Truman M. Pierce Award for Educational Leadership and outstanding contributions which advanced the direction of education in the state of Alabama, the Academic Excellence Award in recognition of professional achievement and academic excellence in the research, service, and teaching of education, Capstone College of Education Society, The University of Alabama; Teaching Excellence Award; Distinguished Service Award—Who’s Who in the State of Tennessee, The University of Memphis Distinguished Administrator of the Year 1995-96, “Educator on the Move,” The University of Memphis; Phi Delta Kappa, the President’s award for leadership and service to the community, Youth Services, Inc.; Who’s Who in Corporate Memphis, Grace Magazine; and, President Bush’s Community Service Award, just to name a few. Essex has published numerous articles, book chapters and newsletters on legal issues. Many of his works appear in The Administrator’s Notebook, The Horizon, ERS Spectrum, Principal Journal, Compensation Review, The Clearinghouse, The American School Board Journal, American Management Association, Community College Review, Education and Law, and many other professional journals. Essex has authored a law textbook entitled 200 Legal Questions for Educators, which was published by Corwin. 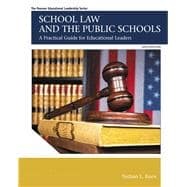 Essex has also published a textbook for public school teachers entitled, Pocket Guide to School Law and a booklet on No Child Left Behind, which was published by Allyn & Bacon. He is highly sought by educators at all levels to share his knowledge and expertise regarding legal and policy issues that impact educational organizations.